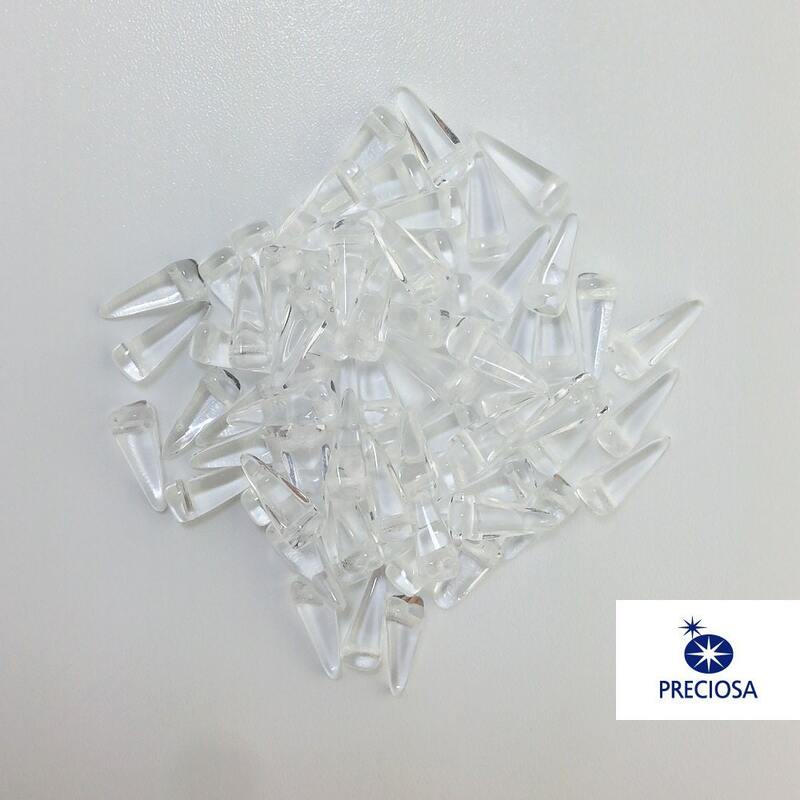 Measurements: 13mm x 6mm. Bead hole is less than 1mm round. Characteristics: These have four sides with a single bead hole. These are transparent. 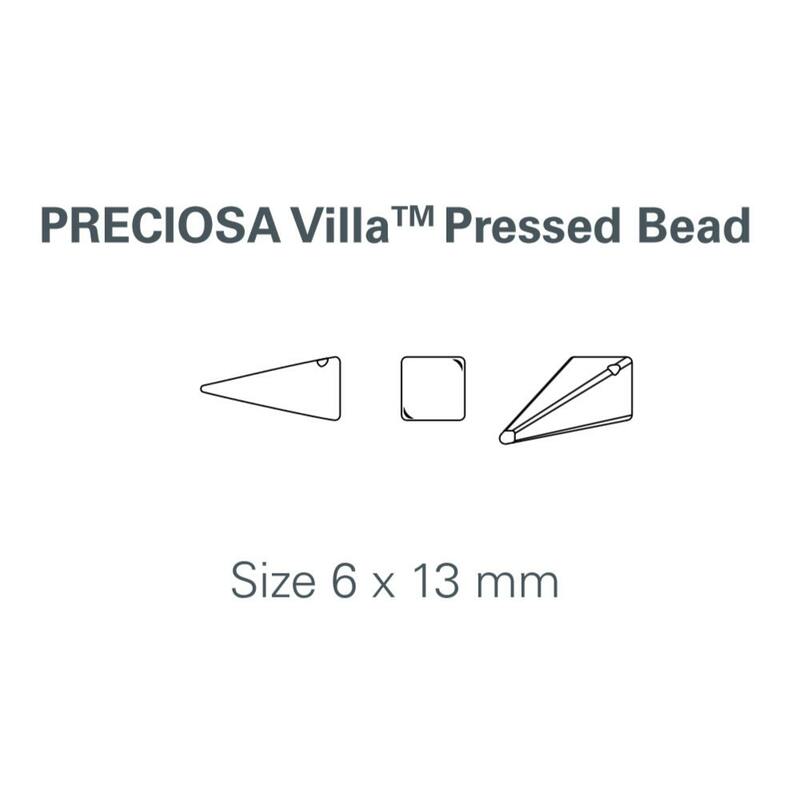 Follow the link to see our entire selection of Preciosa Villa beads!